It’s been said that every time a bunch of young kids start a goth band an angel loses its wings. In which case, angels must have been cursing when Bauhaus got together and penned ‘Bela Lugosi’s Dead’. As someone quite astutely points out, this their first single is the equivalent of a goth’s ‘Stairway To Heaven’. It was released on Small Wonder Records in 1979. Listening to Christopher Cross, it is hard to believe that he played guitar for Deep Purple in San Antonio, Texas in 1970. Richie Blackmore had fallen ill and undoubtedly it was not his soulful vocals that they sought out. A little later than usual this morning, it’s the sunny disposition of ‘Sailing’. Absolutely, it is clearly a guilty pleasure. Good morning folks. There’s not enough Debbie Harry on this blog. ‘Atomic’ first surfaced on side B of the band’s platinum-selling album Eat to the Beat. The song was strong enough to be released as a single a year later, but would effectively act as swansong for the band. A cover (‘The Tide is High’) and a novelty record (‘Rapture’) would follow, but the final few movements of producer Mike Chapman’s atomic disco sound were when the party really ended. Have a great week. Tighter than a tight thing, Tom Petty sings ‘Don’t Do Me Like That’ off his 1979 album Damn The Torpedoes. R.I.P. you heartbreaker. Neil Young wrote ‘My My, Hey Hey (Out of the Blue)’ with its rocking counterpart ‘Hey Hey, My My (Into the Black)’ as bookends for his 1979 album Rust Never Sleeps. As the second part of the famous line goes: “It’s better to burn out than to fade away.” Young had tapped into his encounters with Devo and an appreciation of the punk ethic to reach a new audience. In 1977, the Parliament ‎entourage released a long player called Funkentelechy Vs. The Placebo Syndrome. Yes, that’s right. Written by George Clinton, Bernie Worrell and Bootsy Collins, the simply named ‘Flash Light’ closes the album on a momentous high; all channelled through Worrell’s killer synth-bassline and Clinton’s otherwordly vocals. Monday or not, I just fancy a spot of disco. Rose Royce’s fourth album Rose Royce IV: The Rainbow Connection was the last to feature vocalist Gwen “Rose” Dickey, who had shined so brightly on hits like ‘Carwash’, ‘Love Don’t Live Here Anymore’ and ‘Wishing on a Star’. Produced by Norman Whitfield, ‘Is It Love You’re After’ was a testament to what the LA band would be losing. They would never reach such heights again, although the distinctive synthesised into would feature across dance floors a decade later, courtesy of S’Express. Gary’s Gang was the vehicle for Eric Matthew (real name Joe Tucci) and Gary Turnier. Their first single ‘Keep On Dancin” sold half a million copies around the world. And then, their follow-up ‘Let’s Lovedance Tonight’ featured one of the all-time classic disco breaks. The NYC label Sam Records had struck gold; the keyboard loop would be sampled over and over. The vocals have aged badly and so I prefer one of the instrumental versions. I have selected Danny Krivit’s remix that was originally released on Nervous Records in 2007. SAM Records was founded by Sam Weiss in 1976. In 1990, he founded Nervous with his son. A full circle. Have a great weekend. 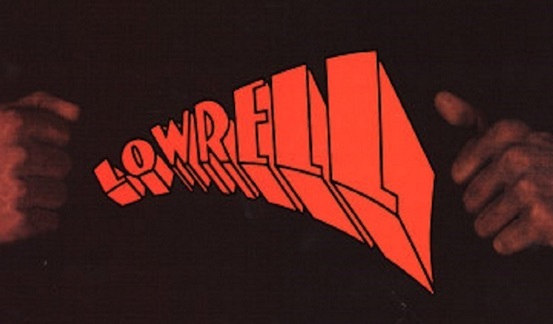 In 1979, singer-songwriter Lowrell (Simon) released his eponymous album on Liberace‘s AVI Records. On it was the slow jam that is ‘Mellow Mellow Right On’. Co-produced by Eugene Record and others, many parts of the song would live on through various sampled tributes… Imagination, Massive Attack and Common, to name but a few. A groove that’s a fitting to start to the weekend. What do you get if you can’t quite have the Kinks nor Kraftwerk? Well, Paul McCartney’s 1979 single ‘Temporary Secretary’ would have been a pretty good answer until Freelance Hellraiser’s fossilised the original. The DJ gave it one hell of a makeover as part of his Twin Freaks collaboration with Macca. It’s recognisable, but much better. Released in the autumn of 1979, the B-side of ‘Night of the Living Dead’ also drew its inspiration from the world of film. It was the Misfits’ fourth single release and the band had already shown their disdain for the political and social messages abundant elsewhere in punk. Instead, ‘Where Eagles Dare’ was all about kicking out the jams and having fun. Where their first album was downright scary, Suicide’s sophomore was disarmingly melodic. Much of the reason was the influence of Ric Ocasek. By chance, I heard ‘Double Life’ yesterday – one of my favourite tracks from The Cars’ canon. I like it for its simplicity. A year before the Second Album came out, Ocasek had already worked with Suicide on the classic single ‘Dream Baby Dream’. Alan Vega’s voice suddenly sounded appropriate.